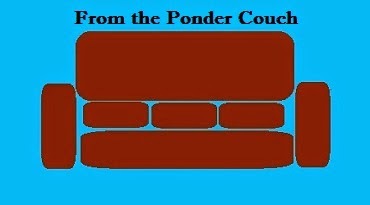 From the Ponder Couch: Good Eats! and Burrito Baits! I like to write silly MisterSeth songs about food! My friend Gail Ratcliff makes the best swim baits! If you are a fisher-type person do yourself a favor and buy everything you can from him! Anybody else want a theme song?